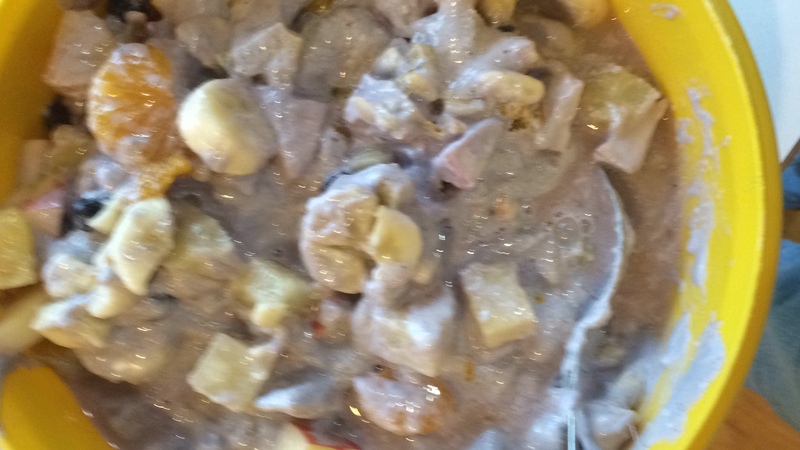 For dessert, I had made a fruit salad with apples, bananas, mandarin oranges, and pineapple (make sure the pineapple juice covers the other fruits to keep them from getting brown) I drained the pineapple juice, put it in the blender with cashews to make a cashew cream and added it and blueberries to the salad. Delicious meal! 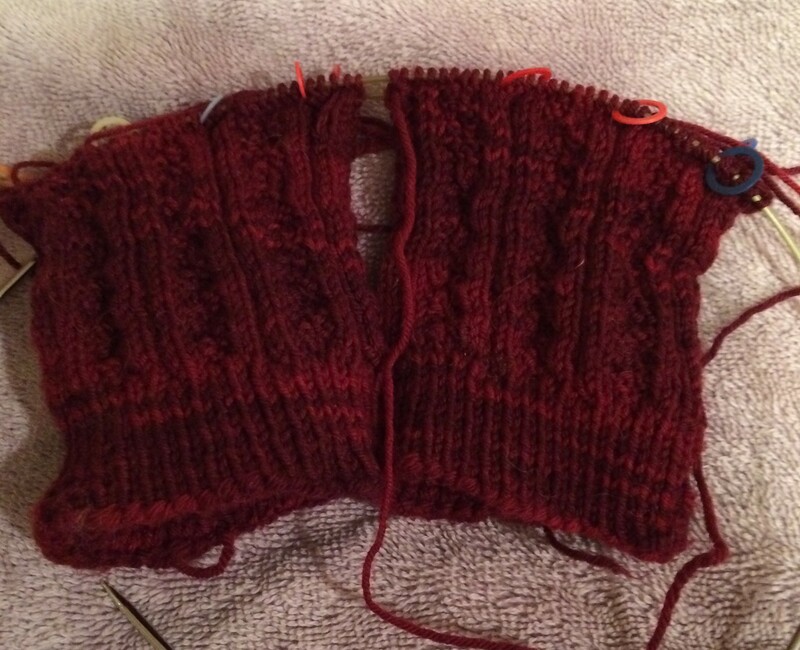 The socks are still progressing very slowly. I’m on row 27 of 65-70 for the leg part.